This guide helps with warbler identification for the very diverse neotropical songbirds in the family Parulidae. The fifty seven wood warbler species, covering fifteen genera, that fill North American trees each spring also bring bursts of color and song. 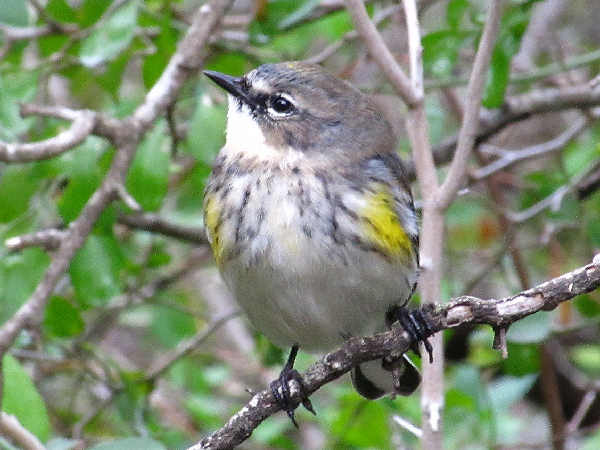 Twenty five wood warblers, almost half of the North American population, belong to a single genus, Setophaga. 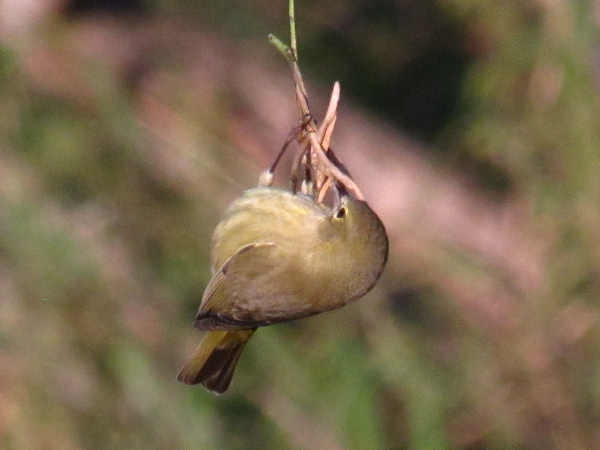 Many, but not all of these small sized warblers display yellow feathers over portions of their bodies and wings. 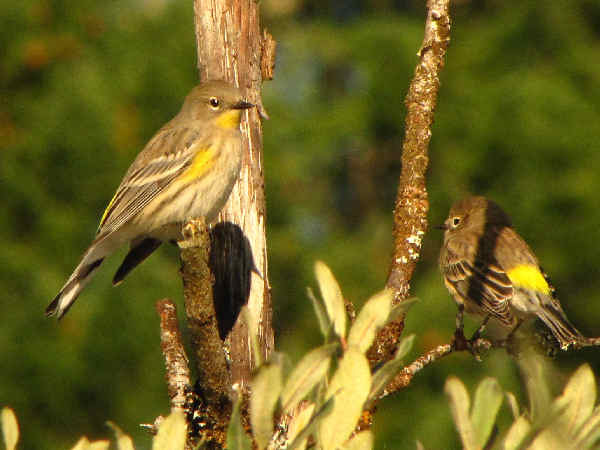 Yellow-rumped warblers (Setophaga coronata), perhpas the most common of the North American wood warblers, also flash their yellow feathers for birders as they dart among the tree limbs in their never ending quest for insects. Two subspecies arrive in spring. The top picture shows a myrtle subspecies. The lack of a patch of yellow feathers covering the throat area distinguishes it from the Audubon’s subspecies. 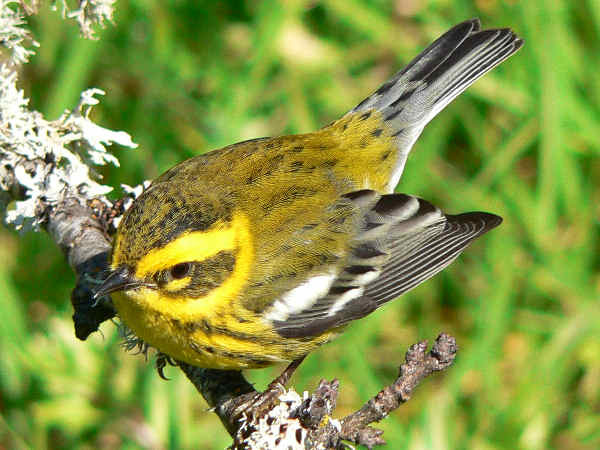 In the Pacific Northwest, bright yellow feathers with black markings on the face typically mean a Townsend’s Warbler (Setophaga townsendi). They are a very hardy species with some overwintering, rather than migrating south. 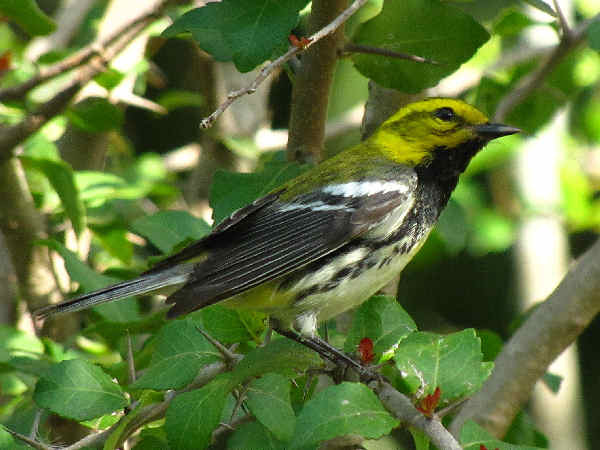 The Black-throated Green Warbler (Setophaga virens) another common eastern species, can also be easily identified by the contrasting yellow head feathers and black throat feathers, especially pronounced on the male. The bright orange throat feathers of the Blackburnian Warbler (Setophaga fusca) during breeding season also makes it a fairly easy to identify species. 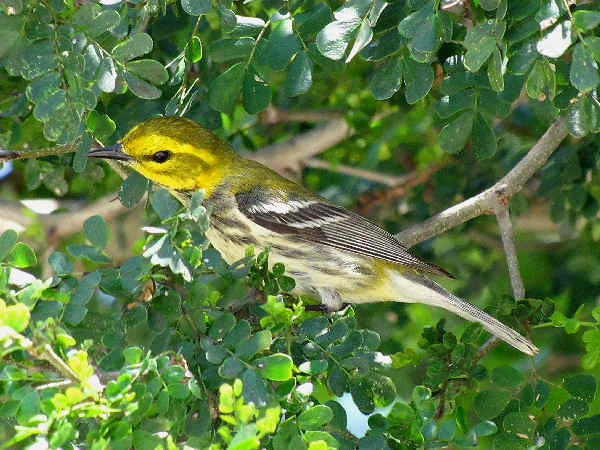 Two related facts make the Pine Warbler (Setophaga pinus) recognized in the East. First, as the name suggests it inhabits Eastern pine forests. In some areas of the south it is a year round resident. 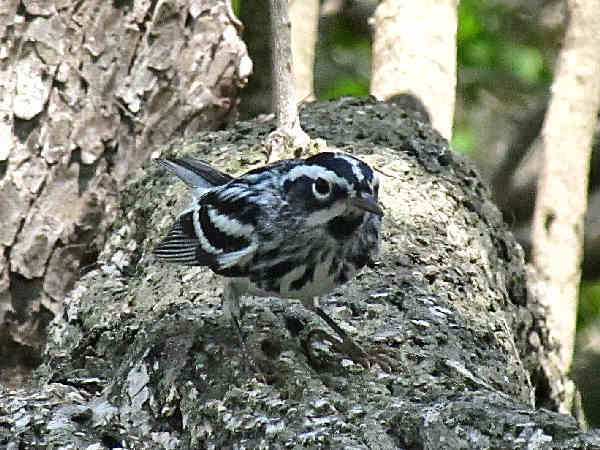 The stark black and white feathers of the Black and White Warbler (Mniotilta varia) make it easy to spot as it hops along tree branches in search of insects. The are a fairly common species in Eastern North America. 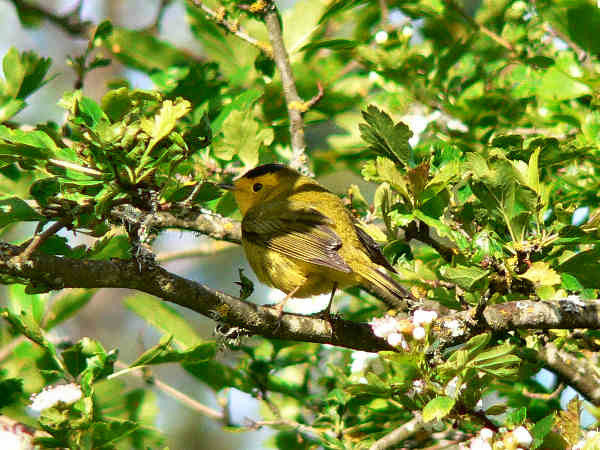 The Wilson’s Warbler (Cardellina pusilla) proves that not every yellow wood warbler belongs to the Setophaga genus.